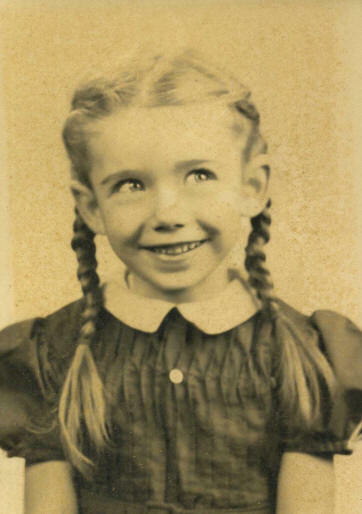 JoAnn Denniston (no middle name) was the second child born to Reese Mathew Denniston (1918 - 1989) and Winifred "Wini" Irene Gardner (1919 - 1999). 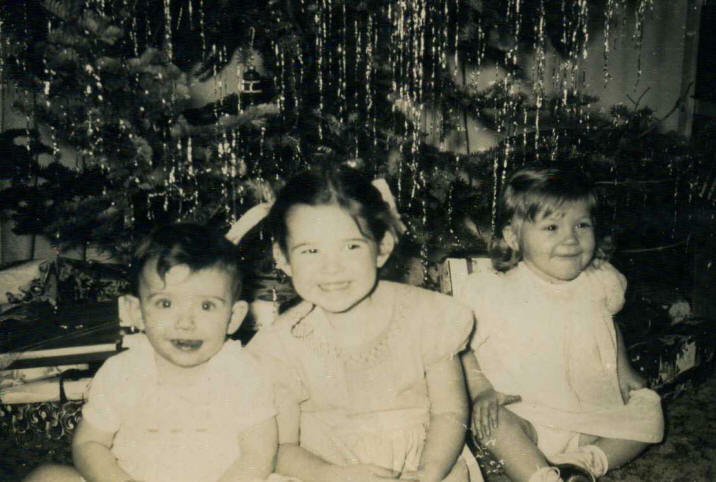 JoAnn was born in 1947 in Detroit, Michigan, but the family lived in Berkley, Michigan (a suburb of Detroit). JoAnn often went by the nickname "Jo". The family moved from Berkley, Michigan to Chicago to live in married student dorms after Reese decided to become a chiropractor. Wini and Reese did research on where they wanted to settle. They narrowed it down to South Florida or Bowling Green Kentucky. 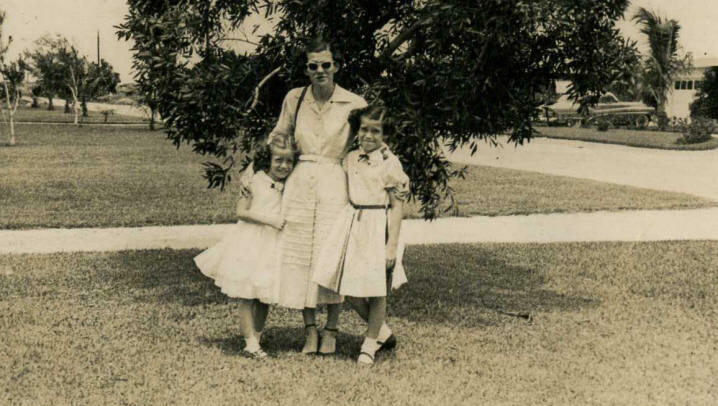 The Denniston family finally settled in Plantation, Florida, around 1954. In Florida the family was active in the Plantation Community Church, never missing a Sunday. 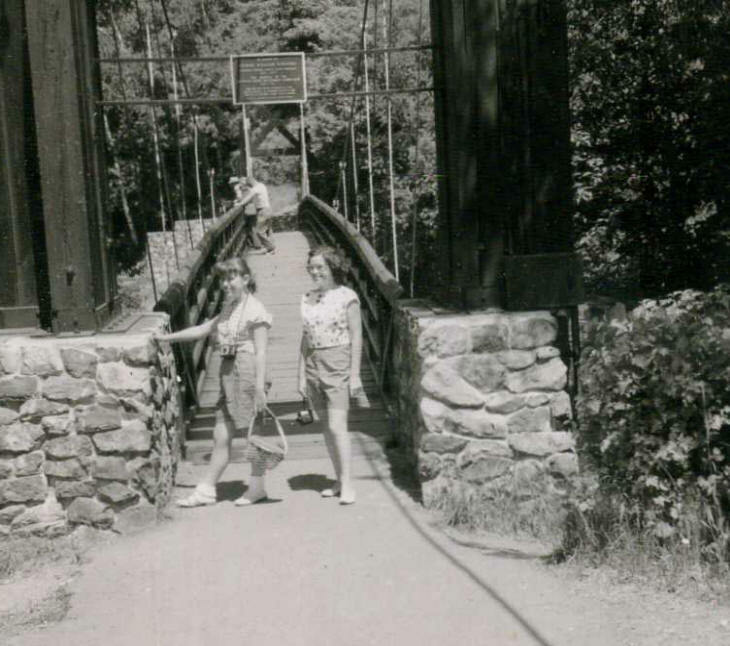 JoAnn was in Brownies, 4-H and Girl Scouts. She took horseback riding but she says she was not athletic. Hobbies included sewing, knitting and reading. She was a member of the Jr. Choir at the church from age 6. 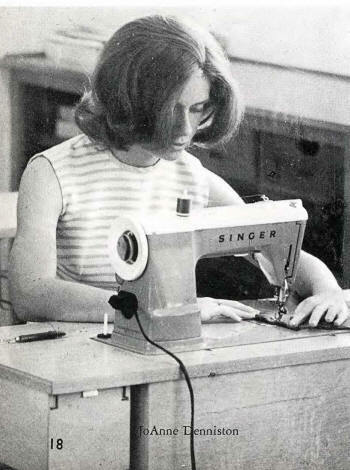 JoAnn starting at age 10, sewing was more than a hobby for JoAnn. Wini took the girls to fashion shows with a notebook where she noted fashion, colors and styles. The girls next found patterns and fabric and created homemade versions of what they had seen. 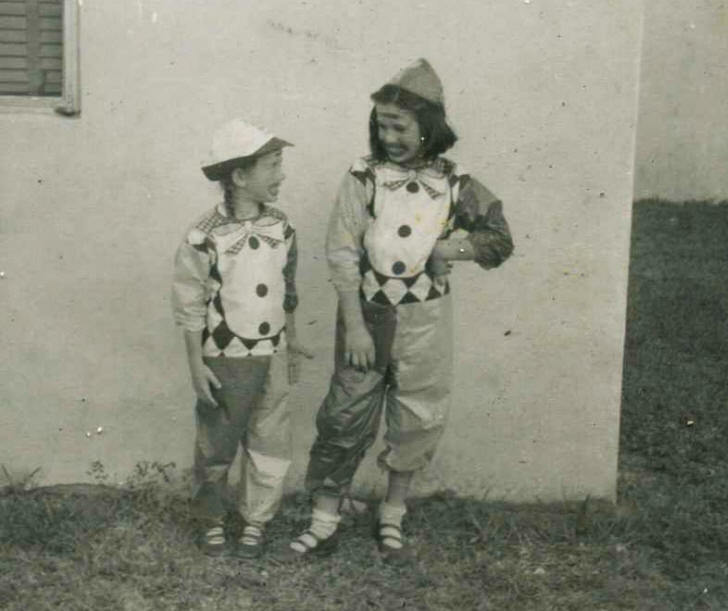 Even hats were produced and shoes covered in matching fabric. Babysitting every weekend provided funds for underwear and shoes. At Parkway Jr. High School JoAnn was chosen as student director of the Chorus and formed an afterschool Chorus. In order to attend after school, she had to walk home. In high school JoAnn was shy but had a circle of close friends, mostly from the church youth group. She joined several interest clubs including two different choruses and Future Homemakers. She was honored to be inducted into Usherettes - which was a service club. Usherettes wore uniforms and ushered at assemblies. They also sold tickets at the sporting events and ran the cash registers in the school cafeteria. JoAnn attended Stranahan High School in Fort Lauderdale, Florida. 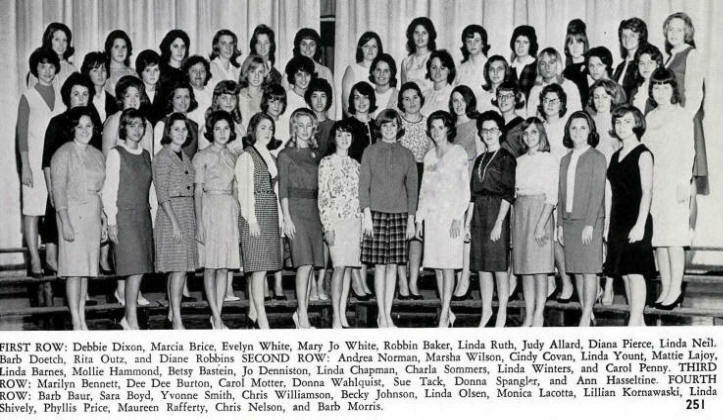 The following photos are from the 1965 yearbook. After high school JoAnn chose to go to the new junior college in Davie Florida. This was the first year for the institution. The new buildings were placed on the land of the former airfield. It was not JoAnn's desire to be a teacher even though her mother, sister and grandfather had all been teachers. When JoAnn pushed to choose a career track, she felt it would be a general course of study and she could change later. 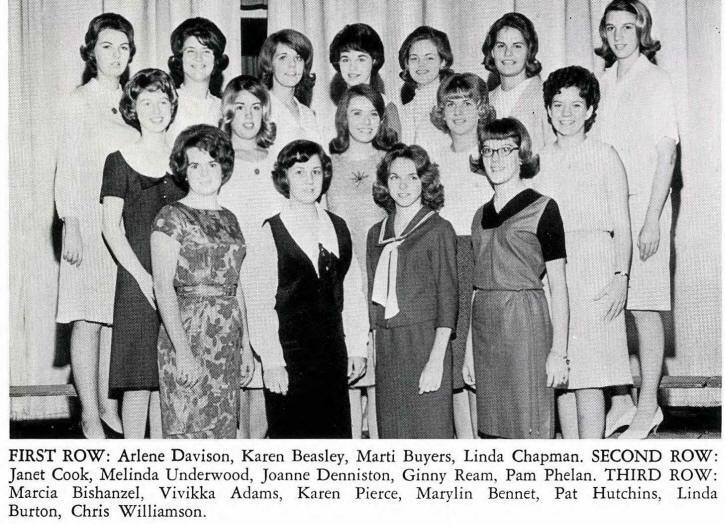 December 11, 1965, while at BJC she met Worthington Frederick Seese, Jr. (or "Guy" as she called him) who was a friend of her high school friend Margret Potter. Since she had just completed exams, Jo went to the student hall to get change from a change machine to call home. Guy offered to drive her home and they became involved in a long conversation and talked all afternoon. 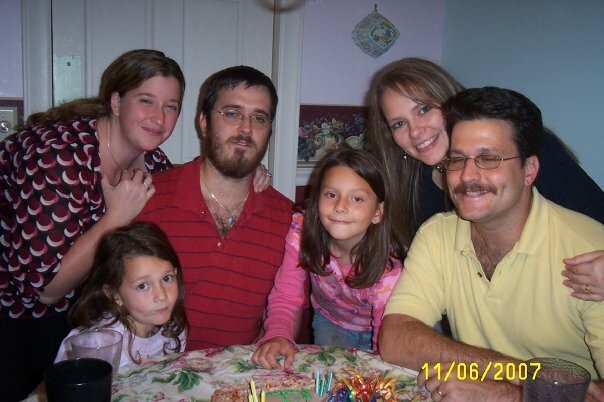 This led to dates and by Christmas he took her home to meet the Seese family. That night at a formal dinner, she met Worthington Sr., his wife Myrtle, Uncle Edward Seese and their mother Ottliy M. Seese. It was a formal dinner and when asked if she preferred oyster dressing or chestnut dressing she was puzzled never having has either. She would have preferred Michigan dressing (or stuffing), which was a bread dressing with sausage and onions in it. After dinner, the couple went to see the movie "The Sound of Music", whiche had just opened. 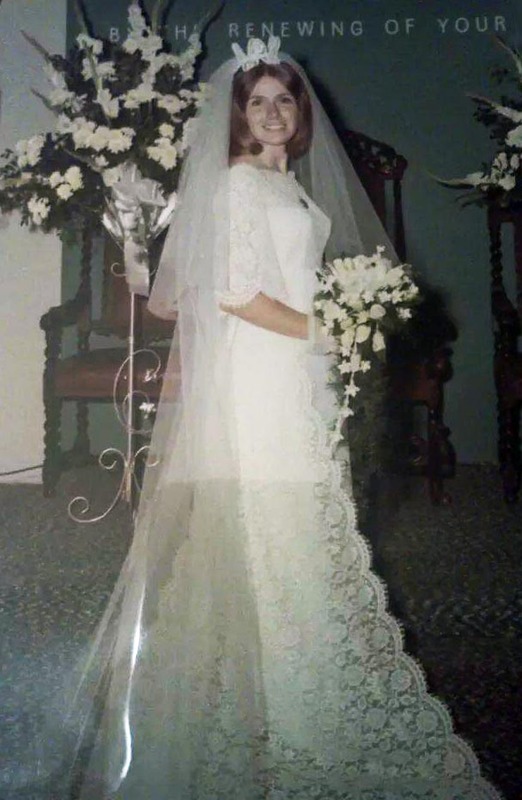 Jo and Guy got engaged on her birthday in June of 1966. They made no immediate plans for a wedding since she wanted to finish junior college first. 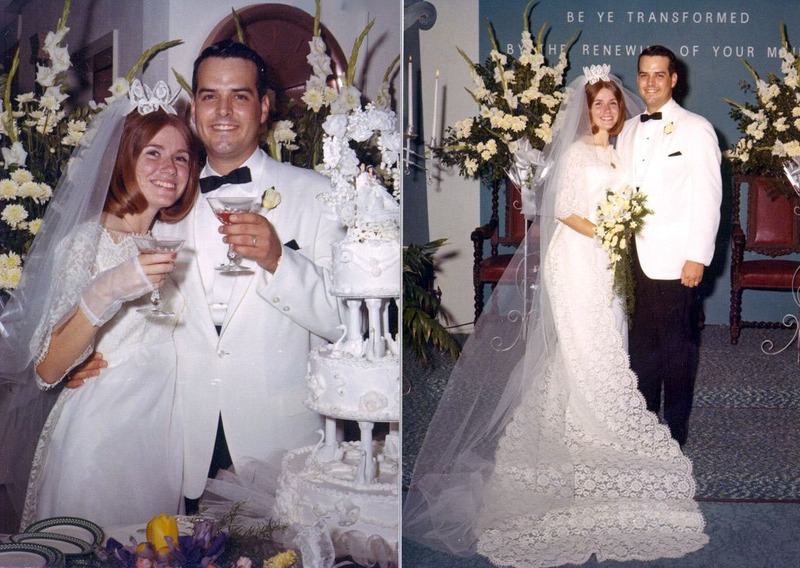 Jo and Guy were married on 05 May 1967 in Broward, Florida, on a weekend between college trimesters. JoAnn graduated soon after that. They planned a honeymoon in the Bahamas but Guy was notified that he could not leave the country yet since he had been involved in security work while in the Air force. Marriage Index for JoAnn Denniston and Worthington F. Seese, Jr.
Worthington was put up for adoption shortly after his birth and was never able to find out any information about his biological parents. He was adopted first by William Evert Morrison and his wife Mary Gray "Grayce" UNKNOWN before 1945 and was named Guy Clark Morrison. Whatever the reason, William Evert Morrison and his wife Grayce divorced in 1951 in St. Johns County, Florida, and Guy Clark Morrison (age 9) went to live with the Morrison grandparents in North Central Florida. Later he was sent to to live at the Miami Military Academy (age 10). Guy Clark Morrison was adopted for a second time by Worthington Frederick Seese and Myrtle May Davis Seese. Guy was 11, almost 12, before the actual adoption. During the second adoption, Guy told the judge that he wanted his adopted daddy's name, so it legally became Worthington Frederick Seese, Jr. Worthington was born 27 Jul 1942, Syracuse, Onondaga, New York. 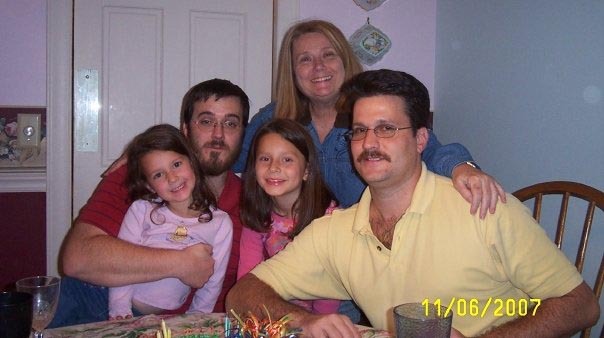 Worthington and JoAnn's marriage produced two children. Both Jo and Guy worked full time jobs while attending school. He worked at 7-11 mini-market while in school and Jo worked at Florida Radio Phone as a radio dispatcher. Guy was trained as a computer programmer but computers had not moved into businesses in Florida on a wide scale yet so work was difficult to find. The couple had a one bedroom apartment near Sears Town in Ft. Lauderdale. It was a furnished apartment and cost $70 a month. The couple was robbed during their sleep while living there They lost cash and some wedding presents. It was decided in the fall that they would pack up and go up the east coast where Guy would interview. He interviewed in Atlanta for a few days and then they went to Baltimore where Jo's sister Linda and her husband Bon were teaching. Within a few days after their arrival, Guy was offered a job at a company so the couple settled there where they both worked. JoAnn was a key punch operator for the Baltimore -Annapolis Railroad. 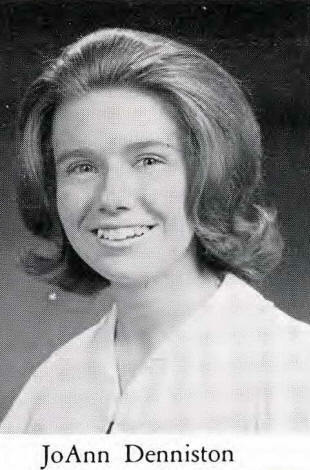 The next year Jo Ann returned to college at Towson State College. By this time JoAnn had done some substitute teaching so she decided teaching would be a good career choice for her. Today is my mother's birthday. She left us in 1999. I think of her often and think about how she was such a wise mother. I think I was the challenging child. 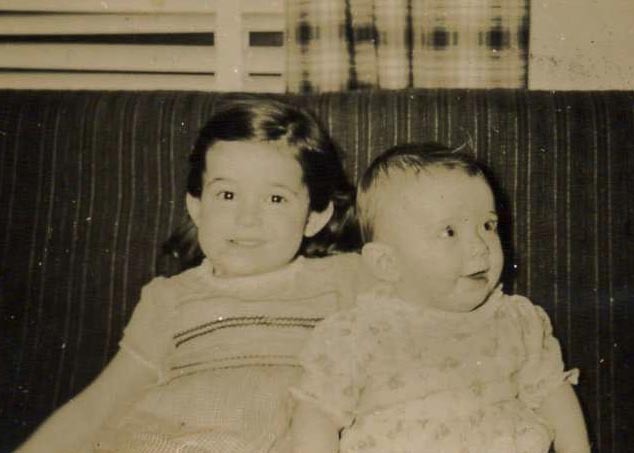 I was not challenging as a rebellious child but as a the shy dependent one. 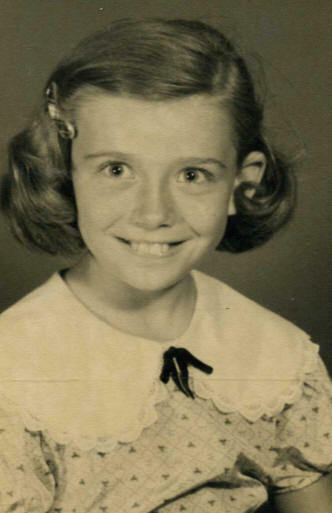 Mother lost her own mother when she was only 10. 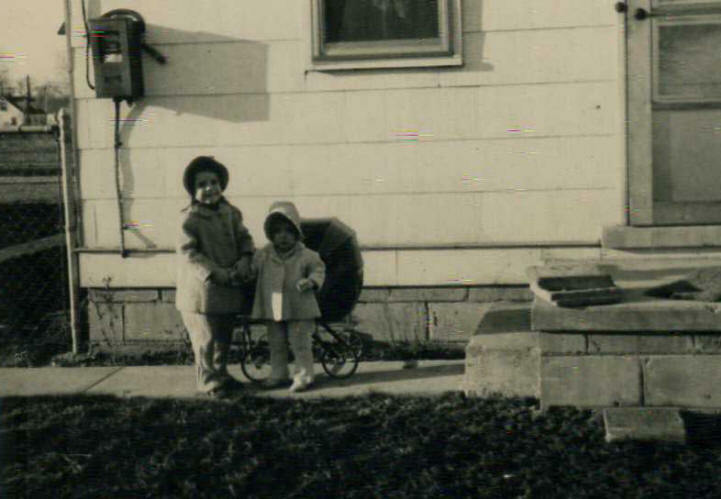 She was the oldest child so she was forced by circumstances to be responsible and independent. I think these lessons taught her how imporant it is for children to to be strong. I thank her for giving me the attitude that my kids are not my own but given to me by God to prepare for being themselves. 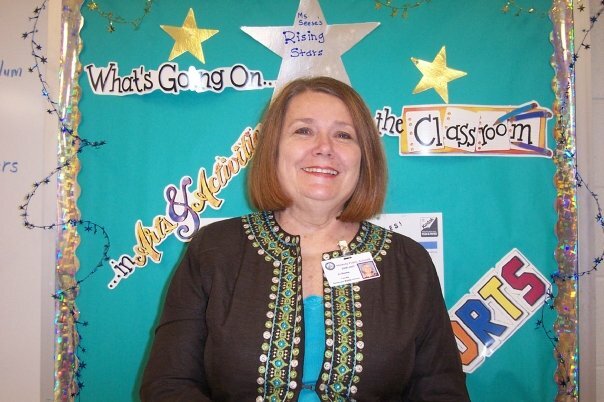 She was also a great teacher and guidance counselor who influenced the lives of many young people. I love you Mother and hope you feel it across the veil.